SIN.EQRTUEVO1T is a datalogger to acquire data from sinapsitech℗ repeaters SIN.EQRPT868XT, which, through the mesh network, collect information from devices that use wired and wireless M-Bus protocol such as meters, heat cost allocators and probes. Manages up to 2750 meters (2500 wireless + 250 wired devices) providing storage of daily readings for 10 years. The web interface allows accessing data, reports generating, the setup of the M-Bus and Mesh networks. 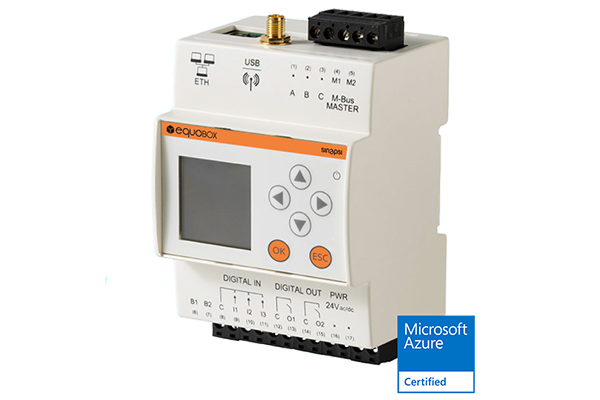 It is equipped with a graphical display for setup, accessing data in real time and the status of onboard I / O without the need of a PC. At the datalogger up to 20 M-Bus meters can be directly connected. With the help of SIN.EQLC1 repeater it is possible to increase the number of up to 250 meters. The graphic display allows to make the commissioning of the metering system in a few steps. The main settings can be performed locally on the display or via WEB interface. HTTPS provides authentication of the website and associated web server with which one is communicating, which protects against man-in-the-middle attacks. Additionally, it provides bidirectional encryption of communications between a client and server, which protects against eavesdropping and tampering with and/or forging the contents of the communication. 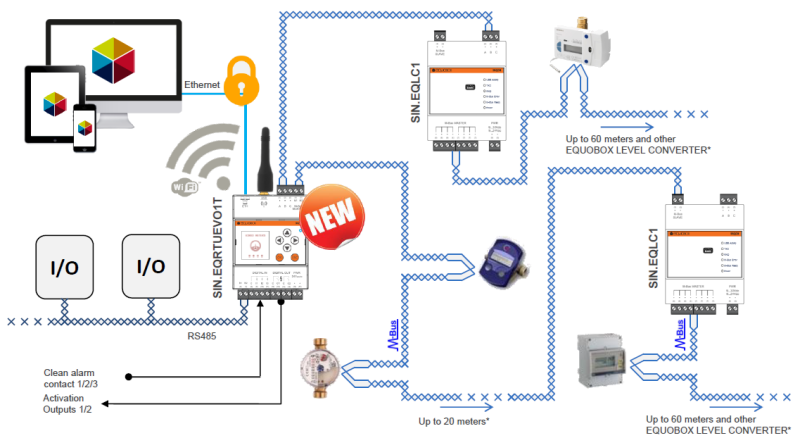 The device allows an easy integration into most complete and complex building automation, making available a comunication to TCP / IP in the KNX, BACNET, and ModBus protocols. 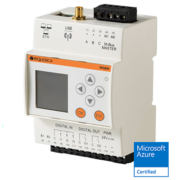 Similarly to the field, the device provided with two communication ports have the ability to acquire simultaneously data from two different field bus (M-Bus, Modbus, KNX). In order to guarantee a use to a wide range of users it has been introduced the users management, who will have access to the data and functionality in relation to their assigned profile. Through an internal bus the RTU-EVO allows the management of remote, analog and digital I / O.